Is Chipotle dishing out some sick stuff? This time, the burrito chain sincerely hopes so. Chipotle's image has taken a beating all year, what with E. coli and norovirus outbreaks and the indictment of its chief creative officer on drug charges. Just yesterday, the company reported a nearly 15 percent third-quarter revenue decline, continuing a downward spiral. Now, seeking to boost its brand, win new fans and jumpstart sales, Chipotle is targeting the college and high-school crowd on Snapchat (user name: ChipotleSnaps) with a minute-long weekly comedy show called "School of Guac." "We have always appealed to younger audiences—Gen Y in particular," Jackson Jeyanayagam, Chipotle's director of digital marketing, tells AdFreak. "Now that Gen Z is beginning to make decisions on their favorite restaurant brands, it's important that we speak to them in the most relevant way possible. Right now, Snapchat is at the top of the list." "It's important to us to stay true to who we are as a brand," Jeyanayagam says, "which means being disruptive and innovating." 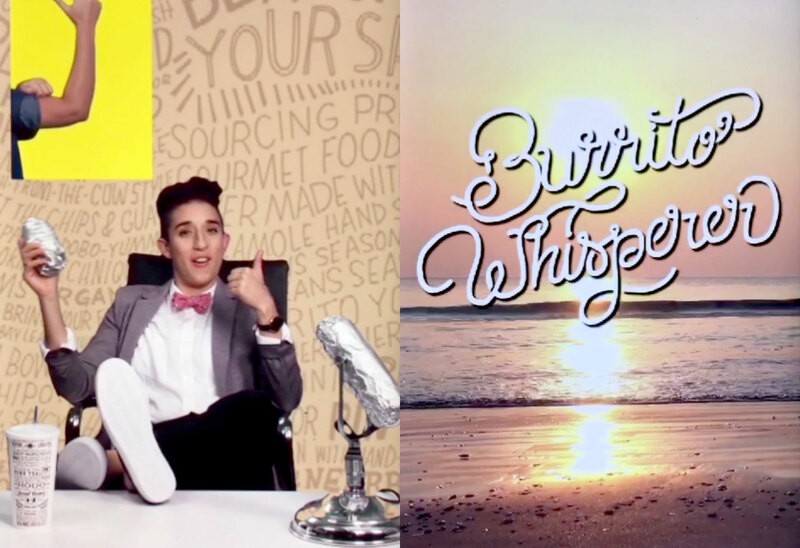 So, how will Chipotle gauge the Snapchat show's success? "Ultimately, we want fans to be engaging with our entire story and getting excited for the following week's episode," Jeyanayagam says. "Don't get me wrong, traffic to BurritoWowNow.com [plugged in the episodes] would be awesome, but I'd be happy with friends telling more friends that they need to follow ChipotleSnaps on Snapchat. That's the real metric for success here."